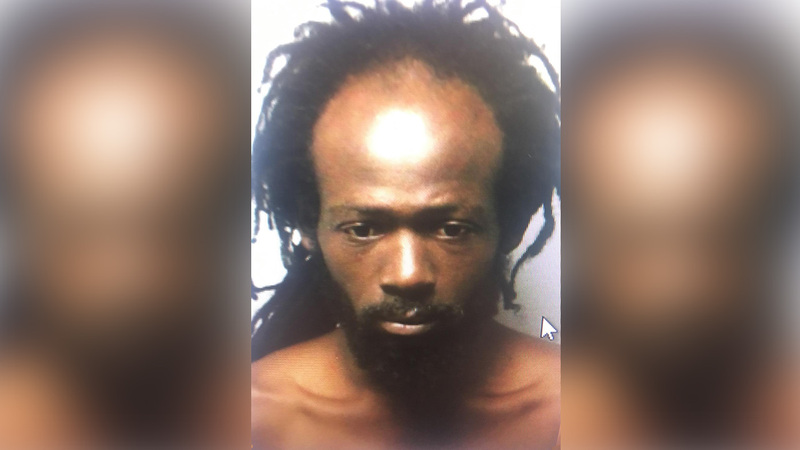 NEWARK, New Jersey (WABC) -- A 33-year-old man was arrested inside Newark Penn Station Tuesday afternoon after allegedly assaulting and threatening a Port Authority Police officer. Police say Elijah Meyers, of East Orange, was seen by Port Authority Police patrol manipulating the handicapped turnstile entrance at Newark Penn Station in order to enter the station without paying. The uniformed officers reportedly told the suspect to leave the train. Authorities say he refused and began threatening the officers by shouting that he would attempt to disarm one of them and shoot her. The suspect then became violent, police said, kicking and flailing as the officers tried to remove him from the train. A chemical agent was used to subdue the suspect, and he was taken into custody. Meyers was arrested and charged with aggravated assault on a police officer, resisting arrest, possession of drug paraphernalia, bail jumping and disorderly conduct. During the arrest process, officers found a pipe with suspected cocaine residue in the Meyers' possession. He also had two warrant arrests. The officers who subdued the suspect were treated on the scene by EMS.